Add casual elegance to your garden with easy-to-grow silver perennials. Dead nettle, silvermound, apple mint & other low-maintenance silver perennials provide visual interest in the garden. 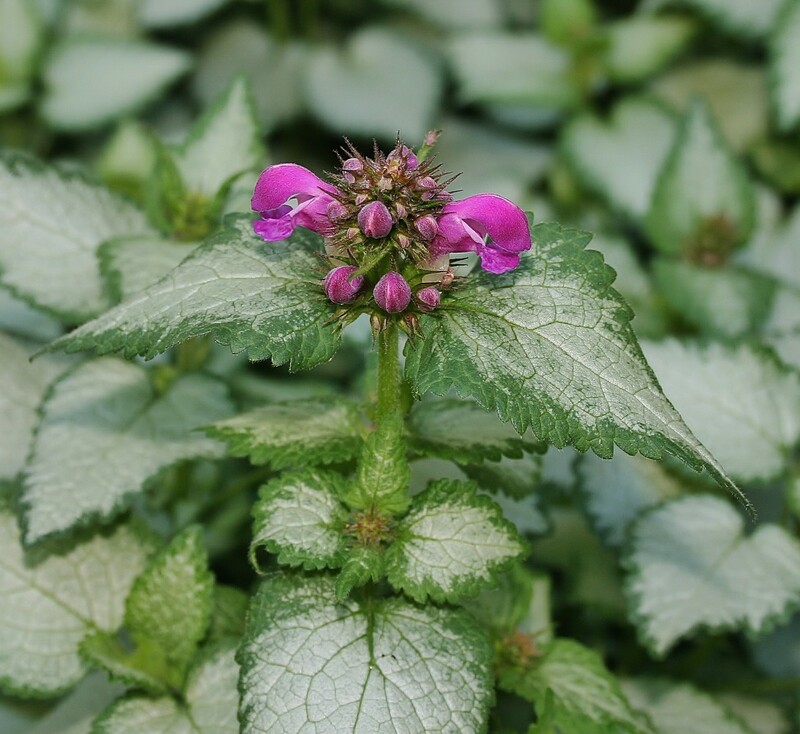 Lamium, commonly called dead nettle, is a hardy, shade-loving ground cover that prefers moist, well-drained soil. 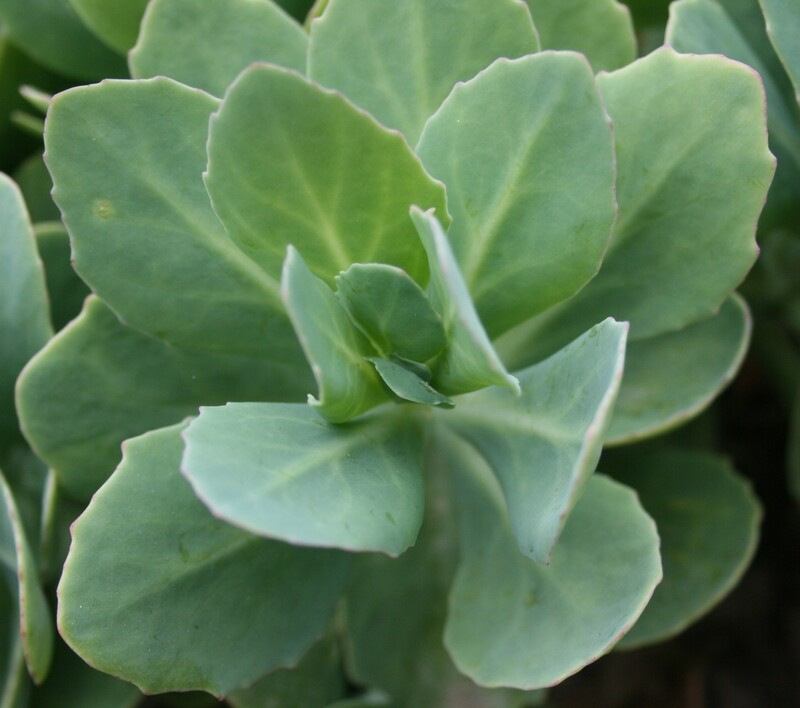 Its heart-shaped leaves are variegated and have a silver cast. Depending upon the variety, lamium produces purple, pink or white flowers throughout the summer. 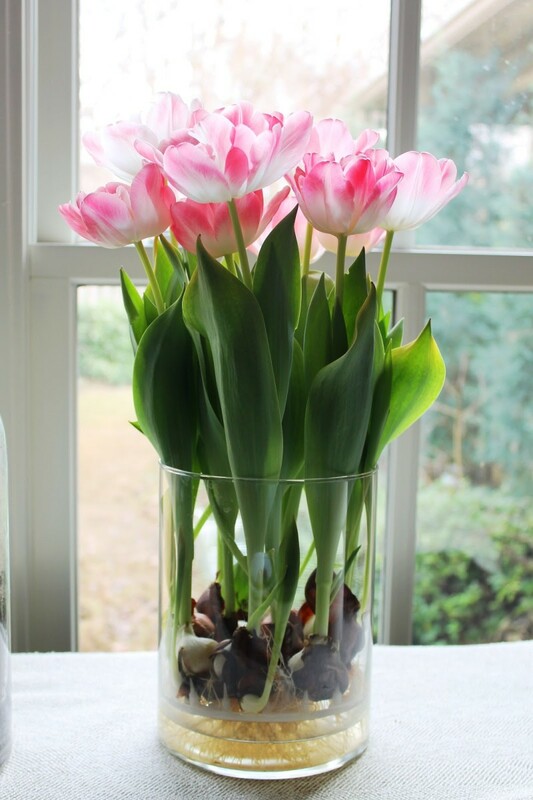 If the weather is warm, it may bloom in the spring as well. Lamium is fairly tall for a ground cover, measuring up to 8 inches in height. It spreads well, without becoming invasive, and it is easy to divide and transplant. Lamium grows best in Zones 4-8. Although it prefers moist soil with good drainage, it also grows well in dry shade. Silver varieties of lamium include "Purple Dragon," "White Nancy," "Pink Pewter," "Red Nancy," "Beacon Silver" and "Orchid Frost." Heuchera, commonly called coral bells, attracts butterflies, hummingbirds and gardeners who are looking for shade-loving perennials with eye-catching flowers and foliage. 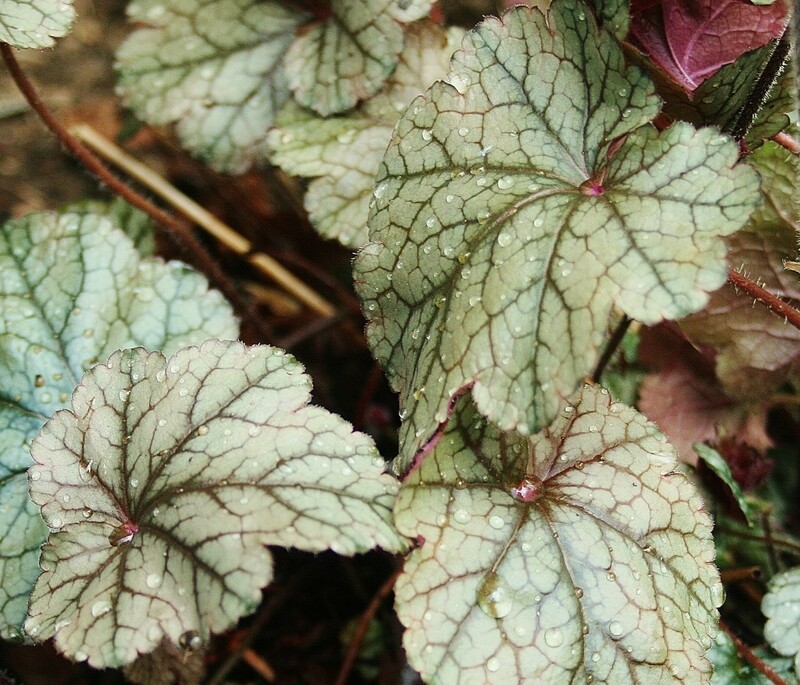 The heuchera hybrid 'Paris' Coral Bells is a silvery beauty that grows in clumps about 10" high and 15" wide. Its silver leaves have striking green veins. From early spring into summer, 'Paris' produces 15" spikes of pink flowers. 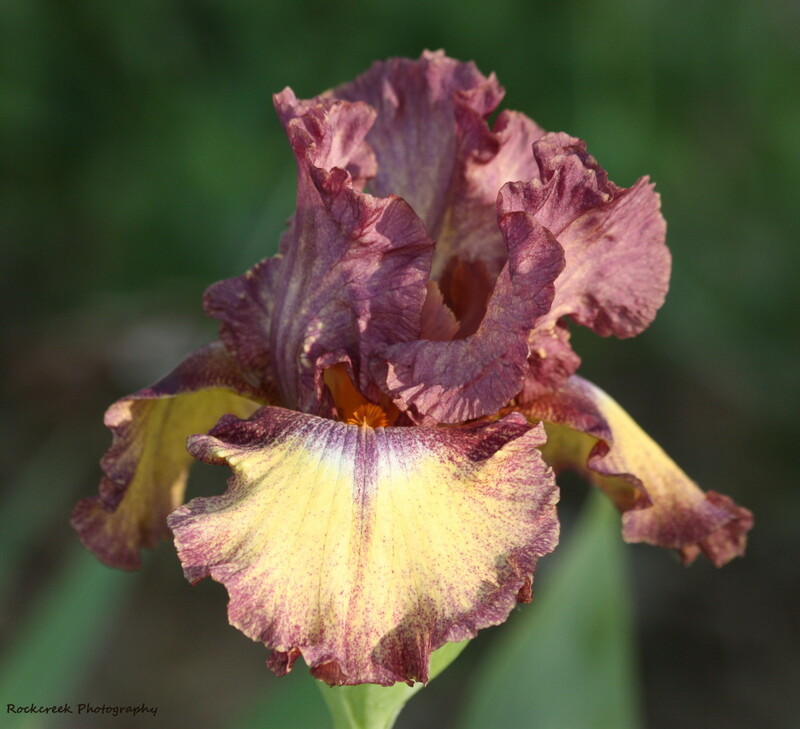 ‘Cinnabar Silver’ has rounded silver leaves veined in purple and green. It is slightly smaller than 'Paris,' its mound growing up to 9” tall and 12” wide. 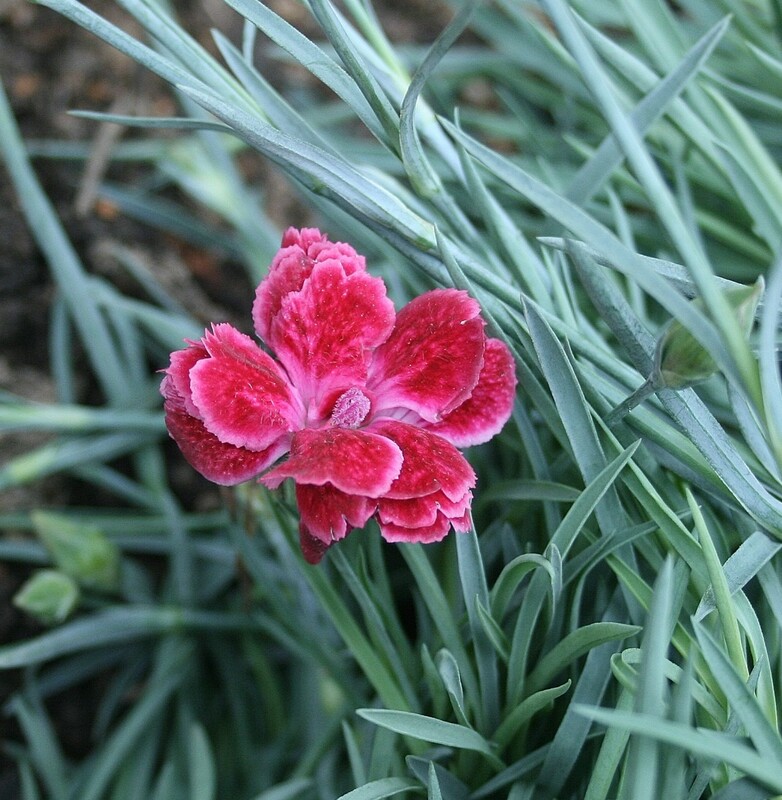 'Cinnabar Silver' produces spikes of small red flowers from spring through summer. Coral Bells does best in well-drained soil and should be divided every three years. It is hardy in Zones 4-8. 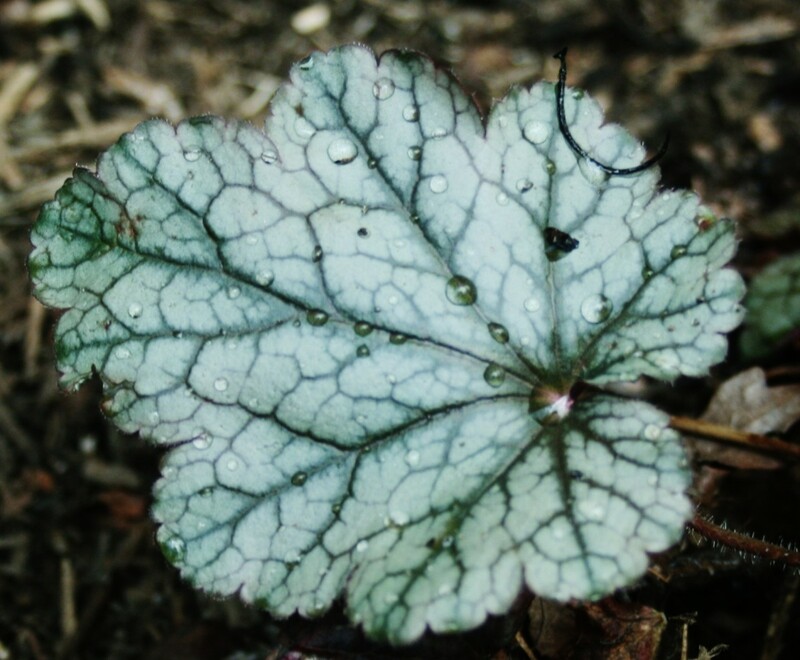 Other silvery hybrids include 'Marvelous Marbles' Coral Bells and Heuchera Sanguinea. Silvermound artemisia (Artemisia schmidtiana) is a small shrub-like perennial that grows low to the ground, reaching only about a foot high at most. Silvermound's shape is naturally round and compact. It can grow up to 18 inches in diameter. 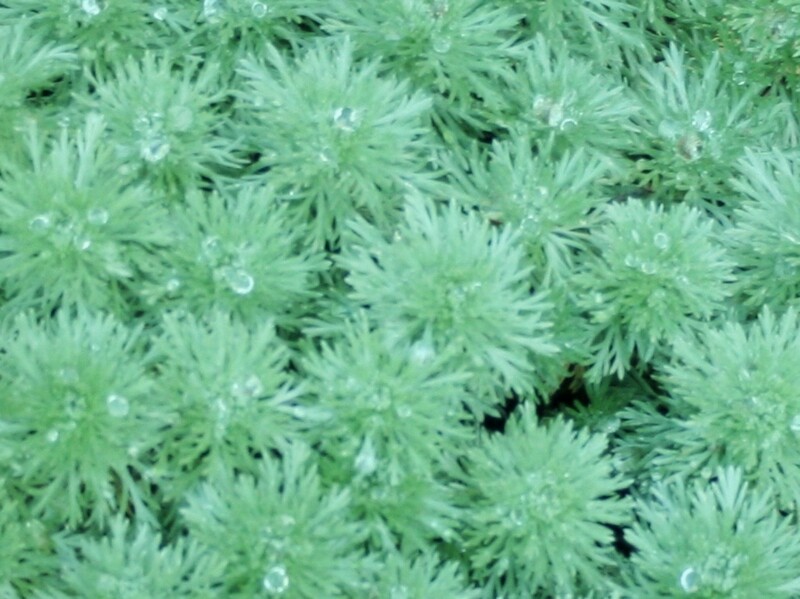 Artemisia prefers full sun and well-drained soil. It grows best in Zones 4-8. These are 'Fire Witch' cheddar pinks! Dianthus gratianopolitanus 'Feuerhexe' is a silvery annual that makes a lovely bedding plant or ground cover. 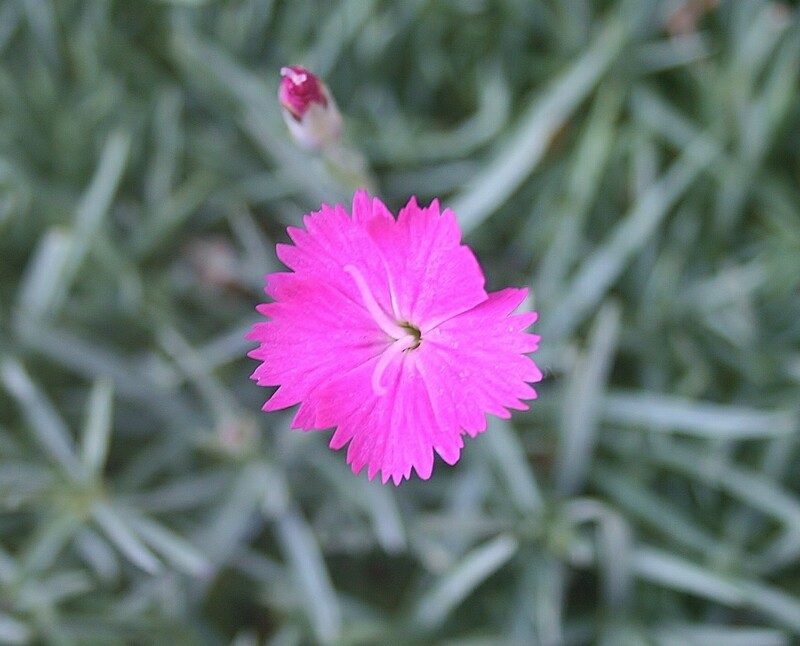 Unlike some other dianthus cultivars, 'Feuerhexe' (aka 'Firewitch') grows thickly, effectively choking out weeds. Its blossoms are a purplish pink and may fade somewhat in the hot summer sun. 'Firewitch' begins blooming in spring and continues to produce flowers through summer and into early fall. It spreads slowly and is easy to divide and transplant. It is hardy in Zones 3-8. 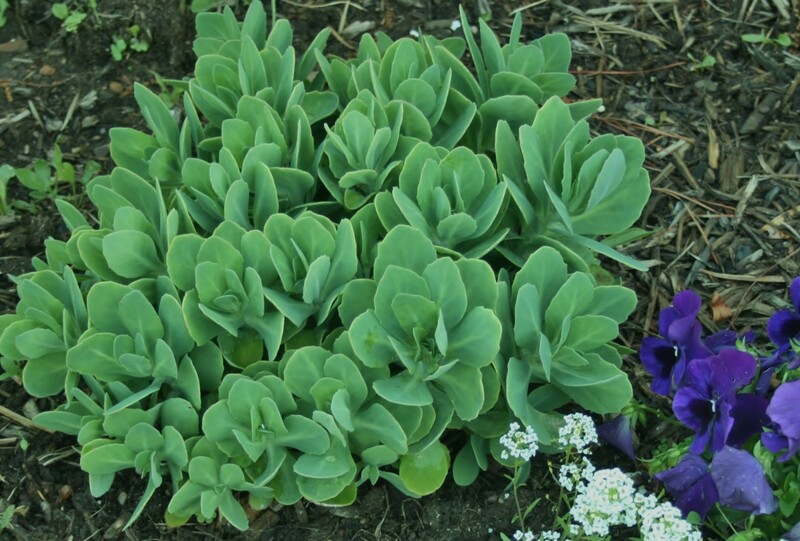 Silver perennials like Sedum 'Blue Spruce,' Sedum 'Autumn Joy' and lamb's ear grow well in poor soil. Unlike annuals, which die after one growing season, perennials live year after year. Perennial plants grown outside their hardiness zones should be treated like annuals. 'Blue Spruce' is a fast-spreading, low-growing ground cover with steely blue foliage. Like lamb's ear, 'Blue Spruce' grows well in poor soil, and it is drought tolerant. It's also heat tolerant. 'Blue Spruce' blooms in late summer or early fall, producing a blanket of small yellow flowers. It is hardy in Zones 3-9. 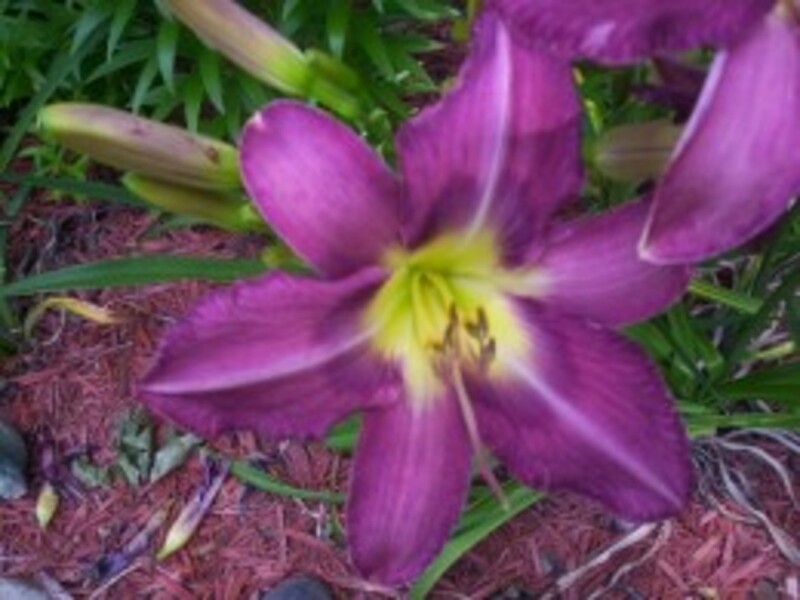 'Autumn Joy' (aka Live Forever) is also drought and heat tolerant. It grows best in Zones 4-9 in well-drained soil in full sun or part shade. 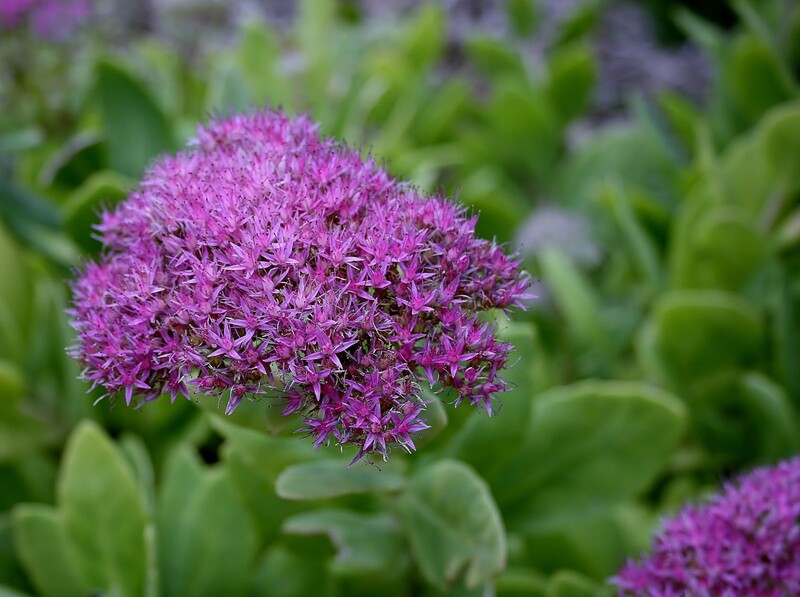 'Autumn Joy' has thick silver-green leaves and large flower heads that darken to a purple-pink in the fall. It's long-lasting flowers attract butterflies, making it a great addition to butterfly gardens. Although it is often treated as an annual in mixed containers or borders, Dusty Miller (Senecio cineraria) grows as a perennial in Zones 8-10. Dusty Miller can reach up to 2 feet high and 2 feet wide. It produces small yellow flowers. Although its blossoms are not showy, Dusty Miller's foliage is, contrasting beautifully with deep purples and reds. 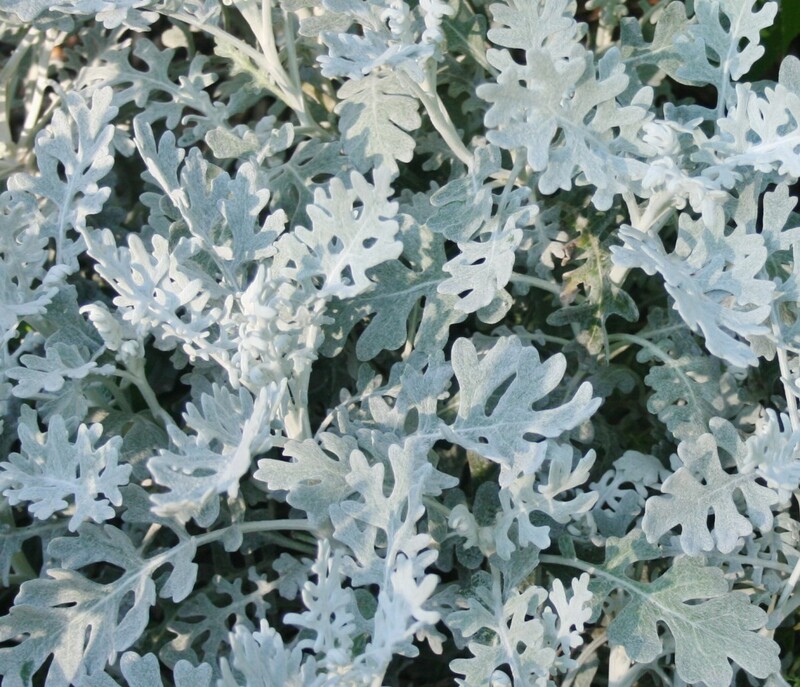 Dusty Miller prefers full sun and well-drained soil. To overwinter it, cut it back in late fall and top with mulch. Stachys byzantina, commonly called "lamb's ear" or "lamb's ears," is an excellent border plant or ground cover. It produces tall spikes of small purple flowers, but it is usually grown for its velvety silver foliage. 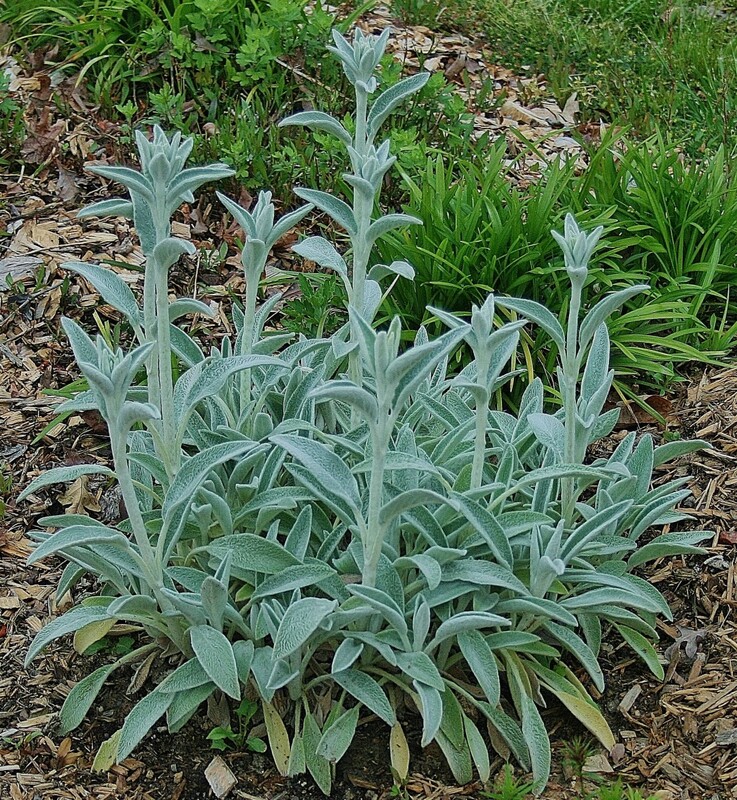 Lamb's ear takes full sun or partial shade. It does not mind poor soil, so long as it is well-drained. Lamb's ear grows best in Zones 4-7. 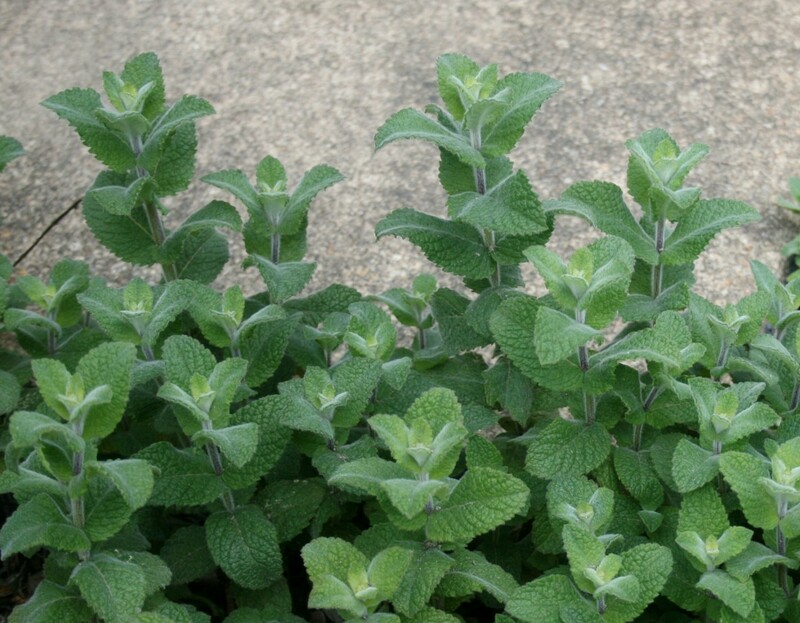 Apple mint (Mentha suaveolens) is also called wooly mint. 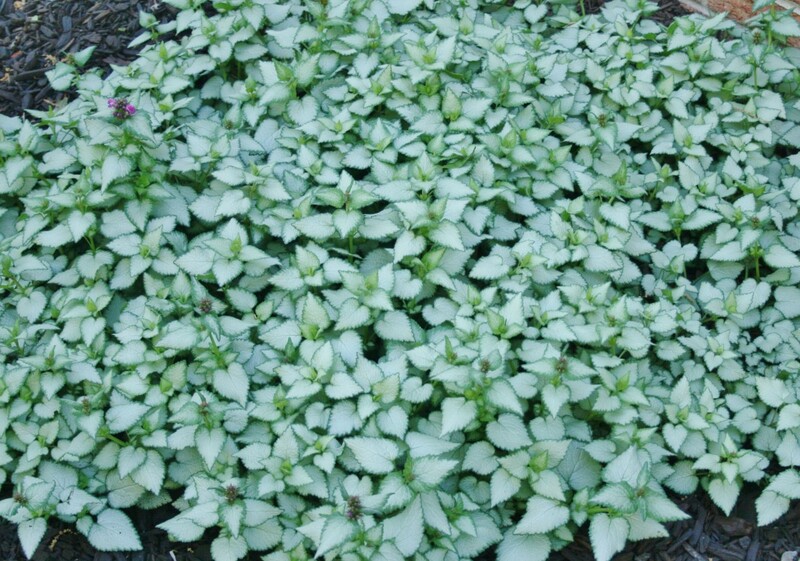 A light, silvery green, apple mint is soft and fuzzy to the touch. It's also delicious in drinks and jams, and it makes a lovely garnish. Mentha suaveolens is easily established, especially if planted in cooler weather--early fall, early spring or late summer. It takes full sun and moist soil. Although apple mint is not as invasive as other mints, it can be quite prolific under the right conditions. That's why many gardeners prefer to grow it in pots or raised beds. To make apple mint iced water or tea, first rinse the mint leaves thoroughly in cool water. Lightly crush them. Then add them to a large pitcher of iced water or iced tea and enjoy! Rinse fresh apple mint and chamomile well. Then chop the chamomile flowers and crush the mint leaves to release their oils. Discard the stems. Add 1 Tbsp. chopped chamomile to teapot. Pour 1 C. boiling water into the pot. Let steep two minutes before adding crushed mint. Allow to steep an additional three minutes. Pour the tea through a strainer into cup. Add honey, dried stevia or other sweetener as desired. I have most of these in my garden. I love silvermound but I can't seem to keep it growing. Winters I guess kill it off. Great hub voted up. 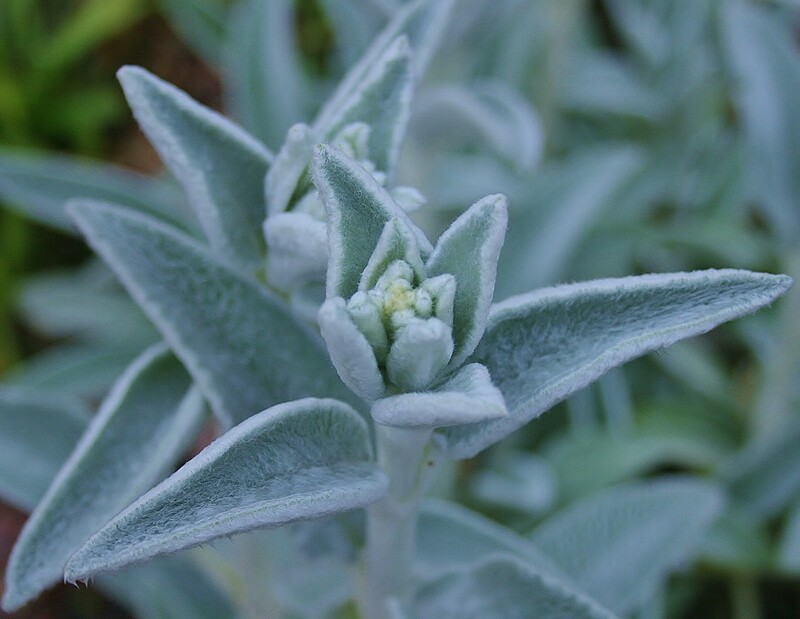 I had a Dusty Miller that grew through the winter which amazed me, although we had a mild winter. I also have a hibiscus plant that I've had for 10 years now in a container which I bring inside during the winter and it even blooms in the garage. That amazes me. I have Lamb's Ear what multiply like crazy and fill in a lot of ground space. Thumbs up on your hub because of your writing content. Overall, from your title to your photos and writing, this was an enjoyable hub. Thanks much. 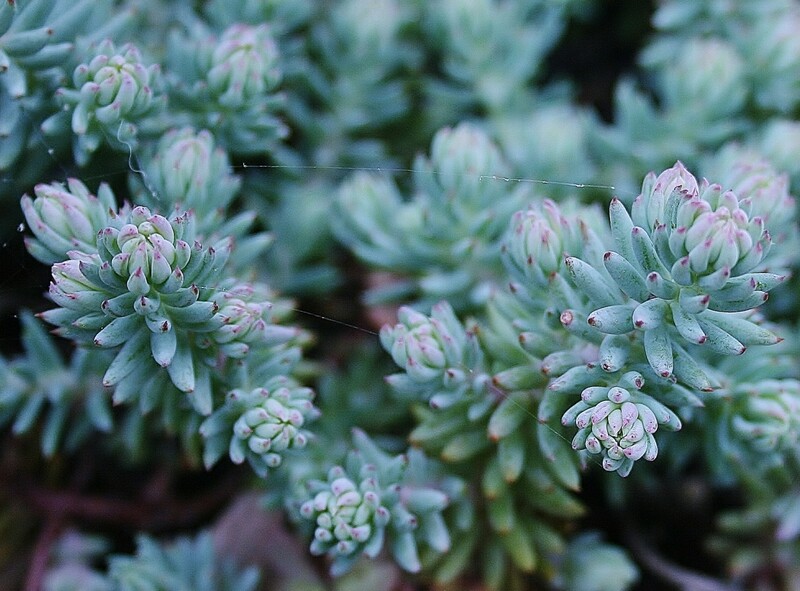 Great overview of some of the prettiest plants. Voted up and share. You've shown some of my favorites. Dang those deer! Voted Useful and Beautiful. Thanks for including the scientific names and the pictures. Tea recipe too! Great job. Loved this Hub! I grow Dusty Miller, but I was not familiar with the others you mention. I voted this UP, Etc.etc. This was really a well-done Hub. So smart to put an ad for a flower next to a hub capsule on it. Good idea. And then your tea recipe was absolute genius! Voted up -- and up -- and up into the stratosphere!